Rooms on View has just closed in Joburg, and I’ve heard that there was some fantastic stuff there. I hope to have some pics to share soon, but in the meantime, DesignBoom has pipped us to the post, reporting yesterday on some interesting furniture launched at Rooms on View. A collaboration between Porky Hefer of design consultancy Animal Farm and designer Warren Lewis, this furniture manages to combine interesting design with social commentary on uniquely African ways. 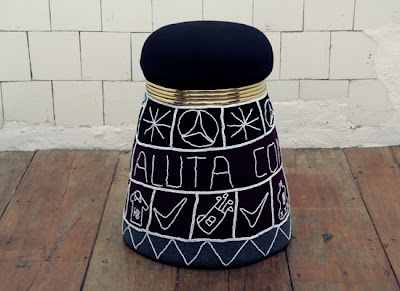 The Ndebele Stool is based on the shape and look of stitched dolls made as curios by Ndebele women. This technique has been expanded so that these curios are shifted into contemporary furniture design. 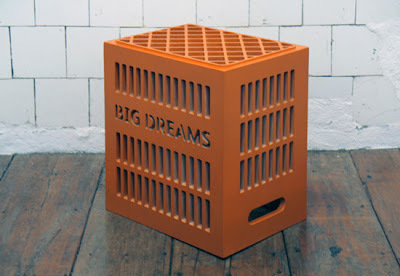 The supawood High Hopes, Big Dreams stools are based on the milk crates used as makeshift seating in every African entrepreneur’s roadside barbershop, fruit shop or sheepshead stall. 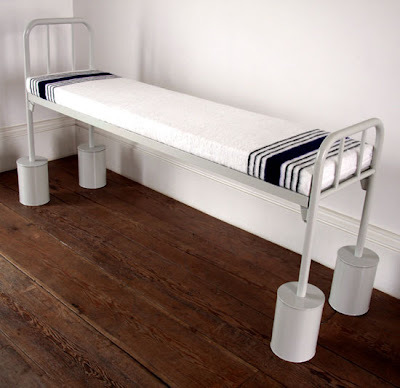 The Tokoloshe bench and bed refers to the African superstition of raising a bed on bricks or paint cans in order to keep the mischievous tokoloshe spirit at bay while you sleep. Read more about each of these designs at DesignBoom’s weblog and see more of the interesting work done by Animal Farm by visiting their very cute website.